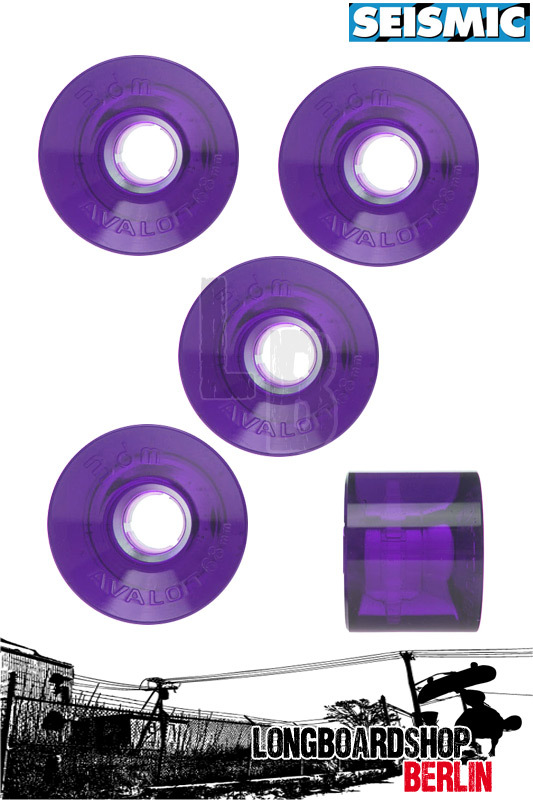 68mm tall x 55mm wide Avalon Wheels. Offset bearing seat, dual lip design. Great for all-purpose longboarding, cruising, and Old School styling, and one of the world's best all-around slalom wheels. Named after the legendary slalom racing site on Catalina Island, California, in the early and middle 2000s the Avalon won more elite races than all other brands combined.